John Smith is a manual and movement therapist with a passionate interest in both structural and movement approaches to the human body, and is actively engaged in deepening his understanding of these vital fields of somatic exploration. He has been an educator for many years at a primary and secondary level, and since beginning his bodywork career he has continued teaching, giving classes in experiential anatomy, myofascial and other manual techniques in Australia, the United States, Singapore and more recently in Poland, where he teaches annually at the WSEIT school of physiotherapy in Poznan. He has been sought as a presenter at many professional conferences in Australia, New Zealand and the United States. 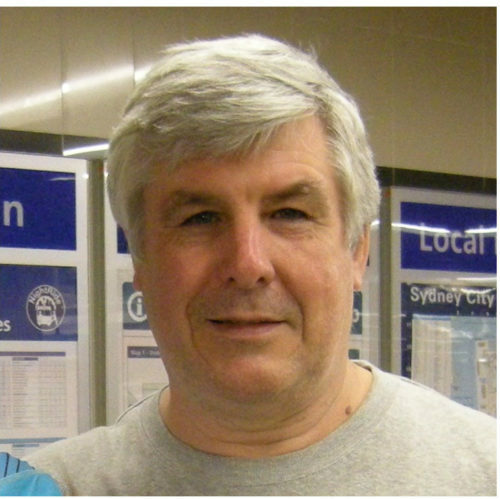 For many years John was part of the teaching faculty of the Australian Rolfing Association, teaching the Foundations and the Anatomy components of the Rolfing trainings in Australia and USA. His fascination with movement has led him into the study and practice of improvised movement (including Contact Improvisation) and into a study to the perceptual work of Hubert Godard and into the Continuum work of Emile Conrad. John is also interested in the research around core stabilization, which is so vital in the world of fitness and rehabilitation. In 2004 John had published an introductory text on the work of structural integration: ‘Structural Bodywork – An Introduction for Students and Practitioners’ (Elsevier 2004), which is widely used as a basic text book for students of the structural bodywork approach. He has recently spent a long sabbatical, studying the profound movement work of Emilie Conrad Continuum, while at the same time auditing one of Tom Myers’ KMI trainings. He has now added the KMI perspectives to his structural work and is a KMI practitioner.